Hull Comedy Festival as part of Hull UK City of Culture 2017, Chris Pepper. In spring 2019, Hull-based arts organisation Absolutely Cultured, IETM and partners Arts Council England and the British Council, will welcome the international performing arts community to Hull to explore the theme of inclusion in the creation and presentation of art through an exciting programme of talks, debates, performance, and networking opportunities. IETM is a membership organisation for contemporary performing arts, with more than 500 members from over 50 countries. With a mission to advocate for the value of the arts and culture in a changing world, IETM holds two plenary meetings a year in different European cities; Hull will be the first UK city to host a plenary since 2010. 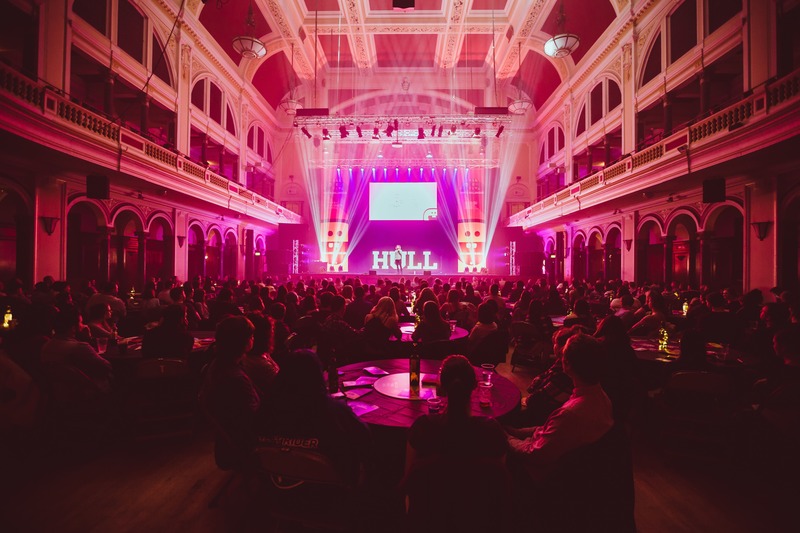 Over four days, IETM Hull 2019 will give the national and international arts community an insight into what is special about the contemporary performing arts sector across Hull, the north of England and wider UK. Whilst taking place on the eve of the UK leaving the European Union, the event will promote international collaboration. There will be an exciting and inspiring programme of talks, debates, performances – including world premieres from local and national companies and artists – networking opportunities and more. The event will explore the theme of inclusion. It will examine issues around race, ethnicity, faith, disability, age, gender, sexuality, class and economic disadvantage and any social and institutional barriers that prevent people from participating in, creating and enjoying the arts as an integral part of the societies in which they live. IETM Hull 2019 will be attended by member and non-member organisations and individuals working in contemporary performing arts. It is anticipated that it will be the largest ever attendance from the UK membership at a plenary meeting. Produced by Absolutely Cultured in partnership with Arts Council England and British Council. With support from Creative Europe, Flanders State of the Art, Hull City Council and Visit Britain.